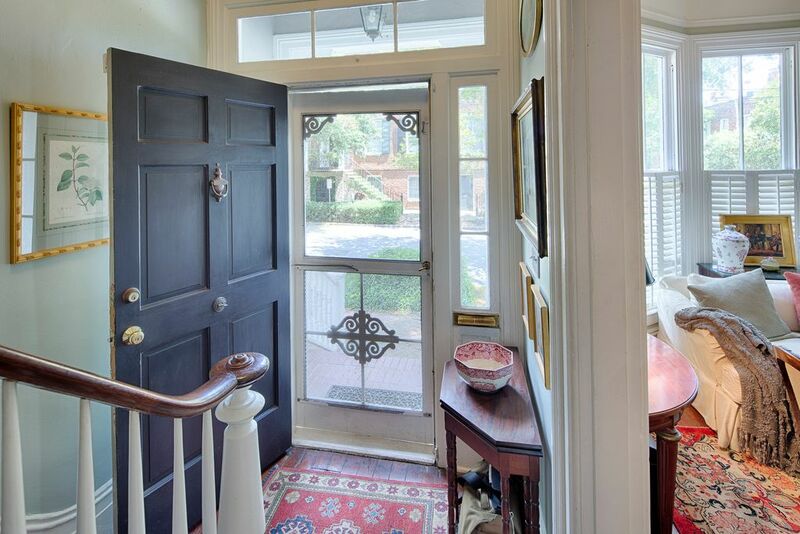 This restored Italianate house reminds us of the first house we bought in German Village, an area of historic brick homes in the shadow of downtown Columbus, Ohio. We’ll always have a place in our hearts for that kind of urban Modest Mansion living, where neighbors are close and where bars and restaurants (and my first job!) were just steps away. 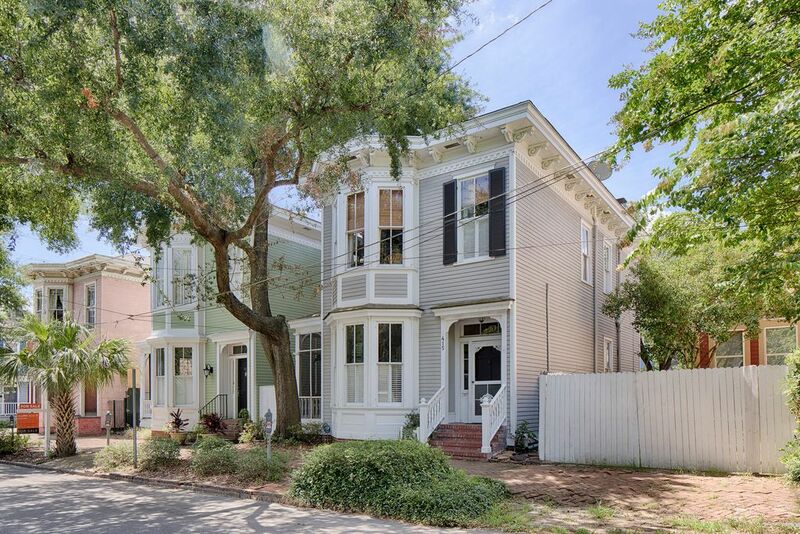 So when this turn-of-the-century Italianate home – right in the middle of Savannah, Georgia’s South Historic District – came on the market, we had to see inside. We weren’t disappointed by what we found, and we think you’ll love it, too. 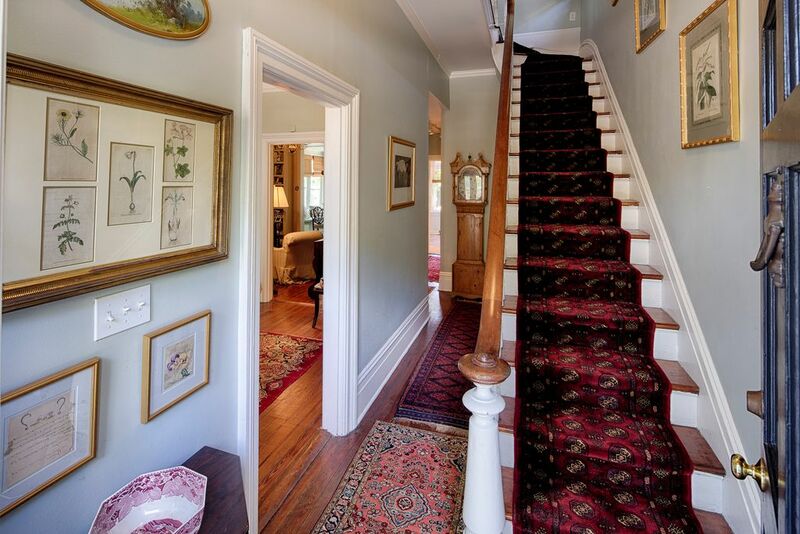 The historic charm starts as soon as you walk in to the tiny foyer, and are greeted by a perfectly-preserved 100 year old stair bannister. 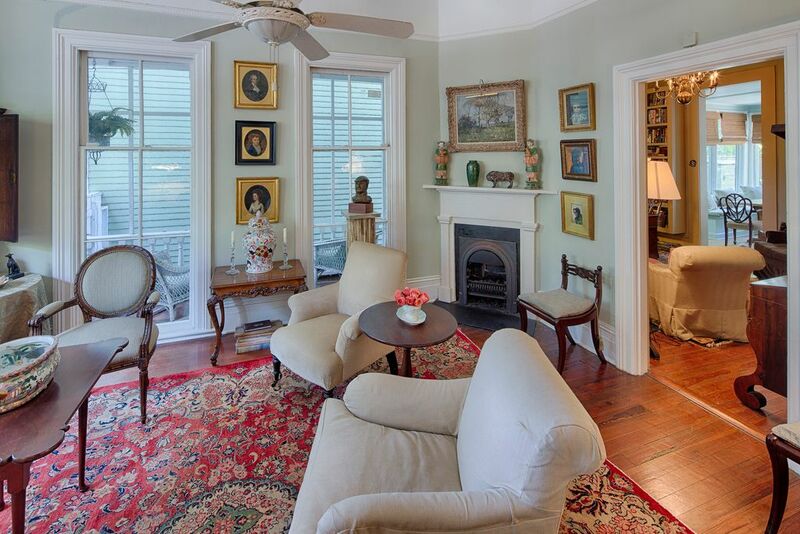 Look closely, you’ll see original wood floors, trim, and plasterwork. 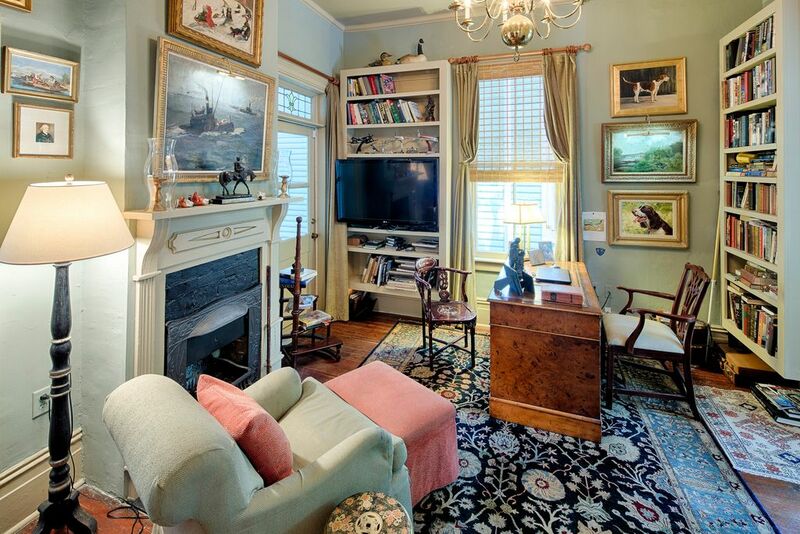 The owners have done a wonderful job of decorating in near-period style. 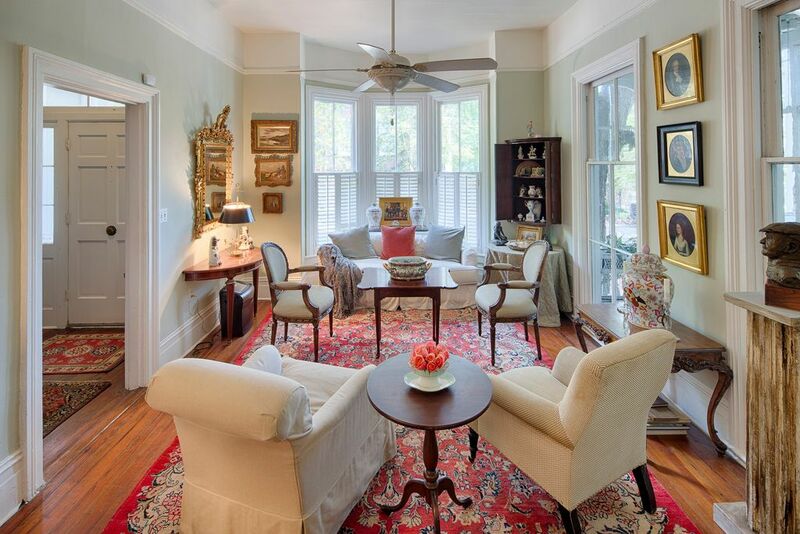 Just to your left as you enter is a lovely parlor, highlighted by a tall bay window looking out onto Taylor Street. A little further down the hall is a small study, which looks a lot like it probably did more than 100 years ago (except for the TV, electric lights, modern chair, and built-in bookcases). 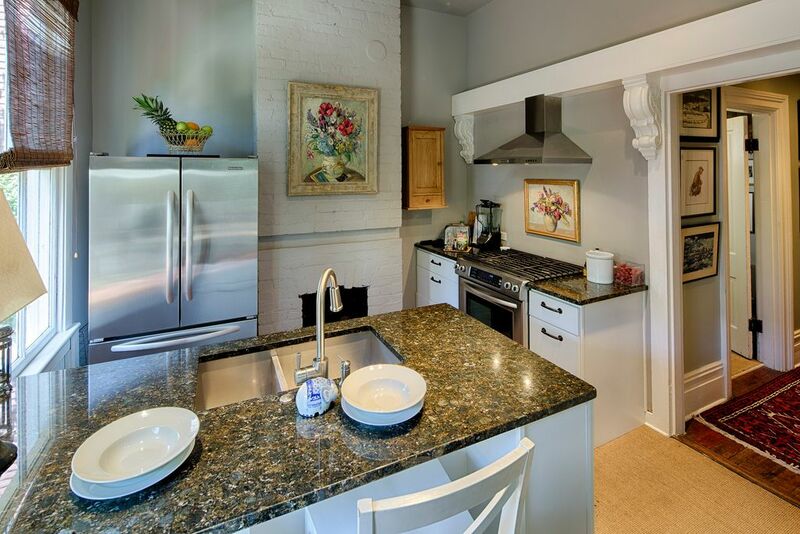 Kitchens are always a challenge in old homes like these (we’ve renovated more than a few! 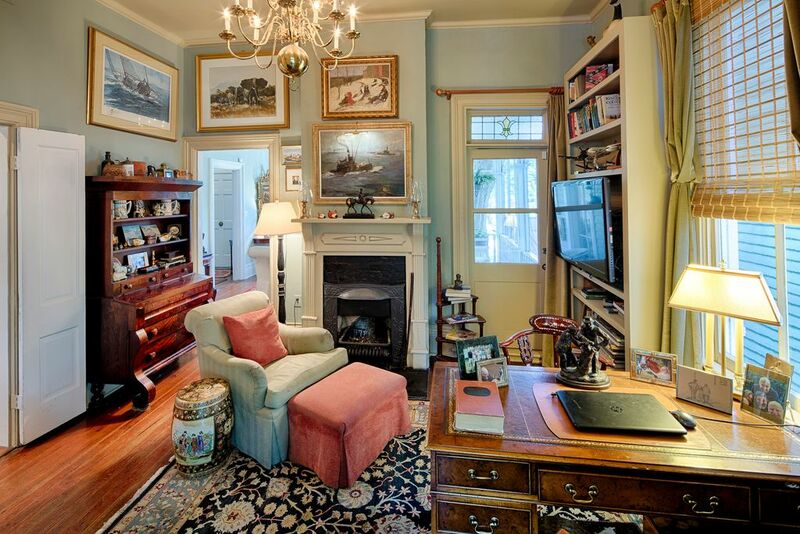 ), because things like tall windows, fireplaces, and tiny rooms make modern layouts difficult. 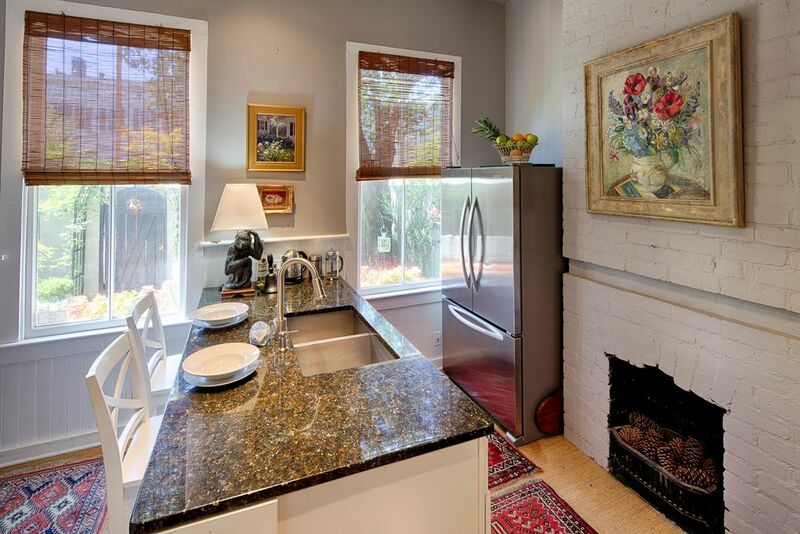 So you do the best you can without harming the original house, and you understand that the history of the house is more important than an elaborate kitchen. 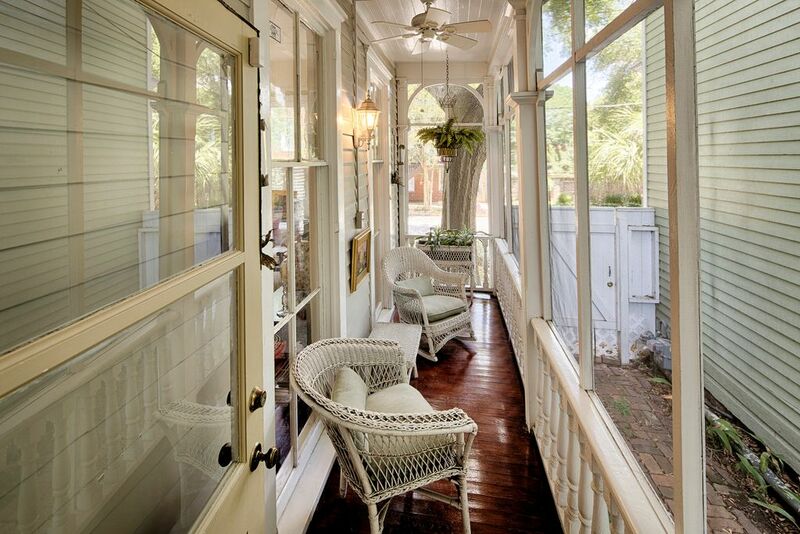 A screened-in side porch is tiny, but just right for two people. 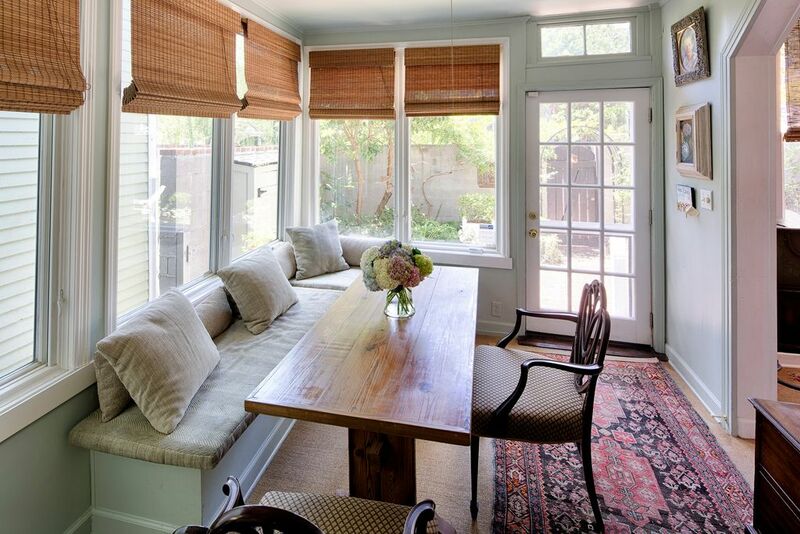 It’s accessed through the only new addition to the house, a good-sized dining space that opens up to the backyard. 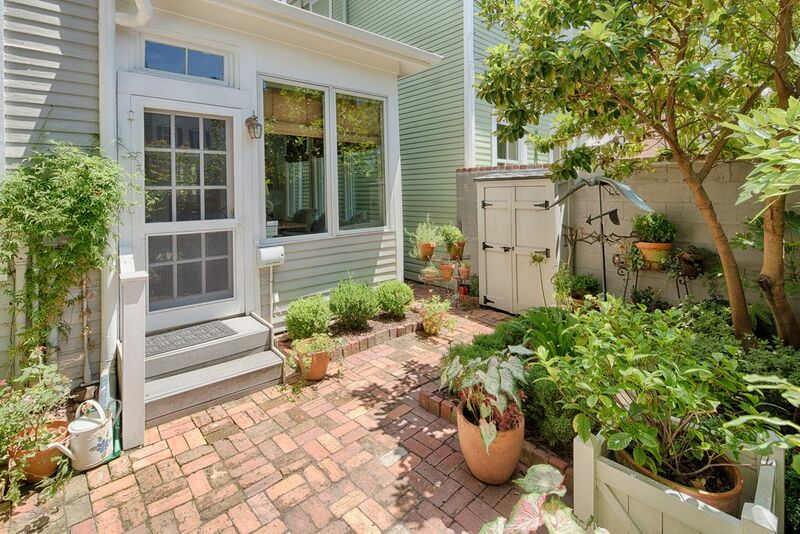 By suburban standards, this tiny backyard is nothing…but this isn’t the suburbs! 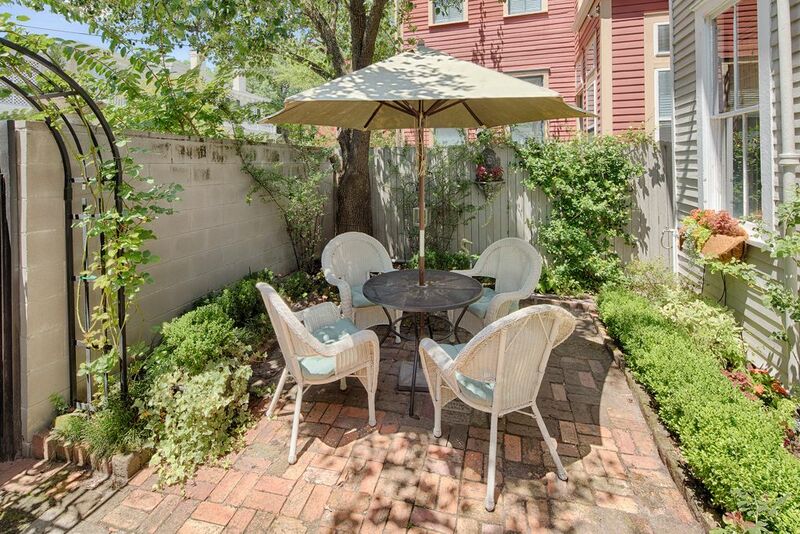 Intimate garden spaces like this are perfect for city living, and this one looks a lot like the German Village backyard we used to relax in.